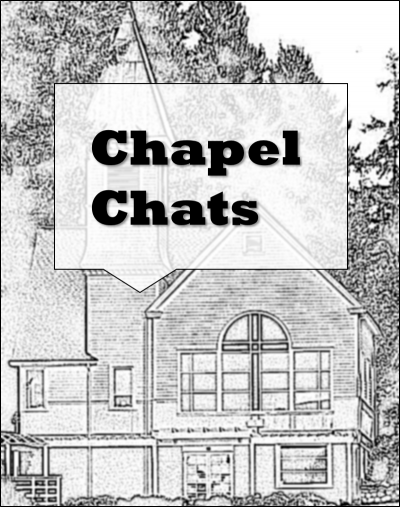 What is the capacity of the Chapel? The Sanctuary and side room on the upper floor can seat up to 130 guests, as can the waterfront garden. The Reception Hall on the lower floor can seat up to 70 or so at tables for a catered meal. For more casual receptions with guests standing, the Hall can accommodate 130 guests with chairs for about 50 around the perimeter. Canopies or tents can be rented through AA Party Rentals. Contact them through their website or call them in Tacoma at 253.922.9898. What do I need to do to rent the Chapel? First, check with our Rental Coordinator to see if the specific date or time frame you are interested in is available. Second, you are welcome to come tour the venue anytime during our office hours on Tuesdays and Thursdays from 10 a.m. – 1 p.m., or you can call or e-mail us to schedule an appointment outside of these hours. We understand that these hours are limited, so we’re flexible with our availability and would be happy to meet with you during the evening hours or on the weekend. It is best to try and see The Chapel during the day though, so you can appreciate the amazing view! To secure your date you’ll need to sign the contract, pay the $500 fully refundable cleaning and damage deposit, and half of the rental rate up front. It is wise to check with your insurance provider before signing our contract, as you’ll need to secure a certificate, claiming the Chapel as insured. This is usually not a problem with most insurance providers and a certificate is usually issued with little or no cost to you. See more about the insurance requirements below in the section titled, “Why do you require an insurance rider from the client”. We are happy to answer your questions regarding this issue at any time. How do I find out if the date I would like is available? You can determine potential availability of The Chapel by checking with the Rental Coordinator at 253.549.7039, or sending an e-mail to rentals@foxislandchapel.net. We do check our voice mail and e-mail daily, even though we are only physically at the venue two days a week. We will return your voice mail or e-mail within 24 hours. It is advisable to book early and have alternate dates if possible. Reservations are not confirmed until the contract is signed, and the fully refundable cleaning and damage deposit is received and half the rental rate is paid. What times are available for a rental event? Our wedding packages are organized by 5 and 9 hour options. For a 9 hour event, we can open the building as early as 10:30 a.m., and close as late as 9:30 p.m. (For example, 10:30 a.m. to 7:30 p.m. or 12:30 p.m. to 9:30 p.m. are popular 9 hour time frames). Clients with 5 hour rentals may chose between 10:30 a.m. to 3:30 p.m. or 4:30 p.m. to 9:30 p.m. In some cases, when another wedding is not scheduled on your requested day, you may chose a “customized” 5 hour window that best suits your needs and time requirements. Please note that rental times include all deliveries, set-up, decorating, photography sessions, and clean-up. To maximize your time available, decorating and set-up can also be accomplished during your one and a half hour rehearsal the day prior, which is already included in your rental fee. We welcome the Bride and Groom to determine the time of your rehearsal as best fits your plans. When should I book my wedding date – how early should I be reserving my special day? As soon as possible! If you would like a specific date for your wedding, our recommendation is to book at least one year in advance. We also understand that this isn’t always possible. If you are flexible and can choose between several available dates, you have a bit more time, but we do advise to set your wedding date early. What if my rehearsal or wedding goes over our rental time period? If you exceed your rehearsal time, $75 per each additional ½ hour will be deducted from your deposit; $150 per each additional ½ hour will be deducted from your deposit for exceeding your wedding rental time. How much do you charge to rent the Chapel? The Chapel accepts Visa or MasterCard, your personal check, money orders, certified checks, or cash. I want to get married in your beautiful facility, but have a small number of guests. Do you have smaller time frame? The definition of a “Small wedding” is 30 people or less, to include the wedding party. There is no rehearsal or reception included in this rate. Why do you require an insurance rider from the client? Insurance providers do not allow policy holders to sublet or “rent” their insurance coverage to a third party such as an individual renting the facility. Therefore, anyone renting the facility for an event such as a wedding and/or reception or other event is required to provide their own insurance covering the Fox Island Preservation Society and the Chapel. Our experience is that most homeowners insurance policies will provide the required certificate at no or minimal cost. If your insurance provider will not supply the required certificate, you will need to purchase a “Short Term Special Event Policy.” These policies are provided at varying prices. Should you elect to rent The Chapel, it is advisable to check with your insurance carrier prior to signing the contract to insure that you can meet this requirement. Additional details are provided in the Use Agreement. Also see Insurance Certificate Letter by clicking on this title. Can I have a copy of the contract? A sample Use Agreement (contract) is provided. This sample is for information only and is not an offer to rent. What equipment does the Chapel provide? Can we cater our own event? You are welcome to self-cater for an additional $200 for this service. In our renovated, upgraded kitchen there is an oversized stainless steel refrigerator for your use, a standalone freezer, and two ovens. The kitchen does not have a dishwasher, and the high speed sanitizer is reserved for our caterer’s use. Kitchen clean up, removal of all glass (bottles, etc.) from the facility, and removal of all Lessee owned materials are the responsibility of the Lessee. All trash must be bagged and placed in receptacles in the fenced area outside the front door to The Chapel. Is there a policy regarding alcohol? Clients desiring to serve champagne or wine/bottled beer must indicate this on our contract and must also obtain a $10 Banquet Permit. This process can be easily completed online. What is the policy on flower petals, candles, and decorating? You may use flower petals and candles, but please no birdseed, rice, and/or confetti. You may use existing nails over doors, windows, and archways, but please do not use any other attachments that may damage The Chapel’s walls. Only dripless candles should be used, and we cannot allow placing candles on windowsills, ledges, or on top of the piano. What are the noise/music policies? Because of the close proximity of our neighbors, noise and music levels should be kept reasonable. The Chapel Host will inform the client if sound levels become disruptive. How much of the setup and cleanup are the client’s responsibility? It is the client’s responsibility to set up and take-down all chairs, tables, and decorations in accordance with the Facility Rules. If self-catering, kitchen clean up, removal of all glass (bottles, etc.) from the facility, and removal of all Lessee owned materials are the ultimate responsibility of the Lessee. If choosing a preferred caterer from our list, the catering company will take care of their own clean up and removal of their materials. All trash must be bagged and placed in receptacles in the fenced area outside the front side door to the Chapel. Cleaning the floors is our responsibility. The Chapel Hostess will be in attendance throughout the event. Is there a dock available for our use? The Chapel does not own or have access to a dock, but anchored boats are welcome. We’ve had brides and grooms arrive and depart their ceremony via the water, on everything from jet skis to row boats to outrigger canoes, and even a float plane! Our unique waterfront location provides very special opportunities for wedding parties to utilize this space. When is the Chapel open for tours and viewing? The Chapel tour and view hours are Tuesdays and Thursdays from 10 a.m. – 1 p.m. We understand that it may be difficult to come out during that time, so an appointment can also be made during the weekday evenings or on available weekends. Please contact the Rental Coordinator for availability. We are happy to assist you and work within your schedule. Is the deposit included within the rental fee? No, the refundable security/damage deposit is a separate charge above the basic rental fee and is due when booking your date, along with 50% of the rental fee. Under what conditions will some or all of the deposit be withheld and when will the deposit be refunded? An infraction of the Use Agreement and/or the Facility Rules or damage to or loss of Chapel property may result in loss of all or a part of the deposit. Status of the facility is determined at the end of the event with the Chapel Host and the client or client representative. In over 300 events, less than a dozen deductions from the deposit have been made. Deposit refund checks are mailed every two weeks. What if I need to cancel my contract with the Chapel? Should you cancel your event more than sixty (60) days prior to the rental date, the deposit is forfeited and any rental fee paid is refunded. In the event you need to cancel your wedding less than sixty (60) days prior to the rental date, you would forfeit the deposit and all rental fees paid. Copyright © 2017 The Chapel on Echo Bay All Rights Reserved.